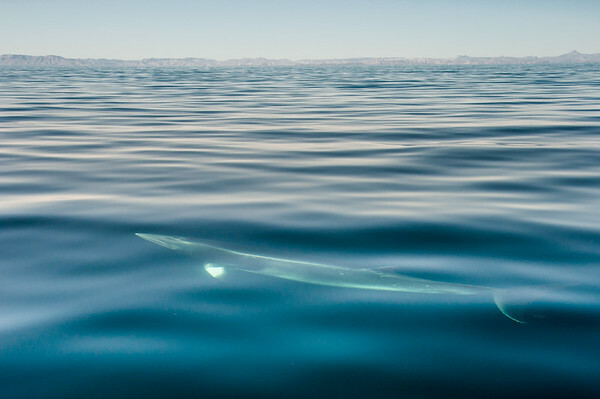 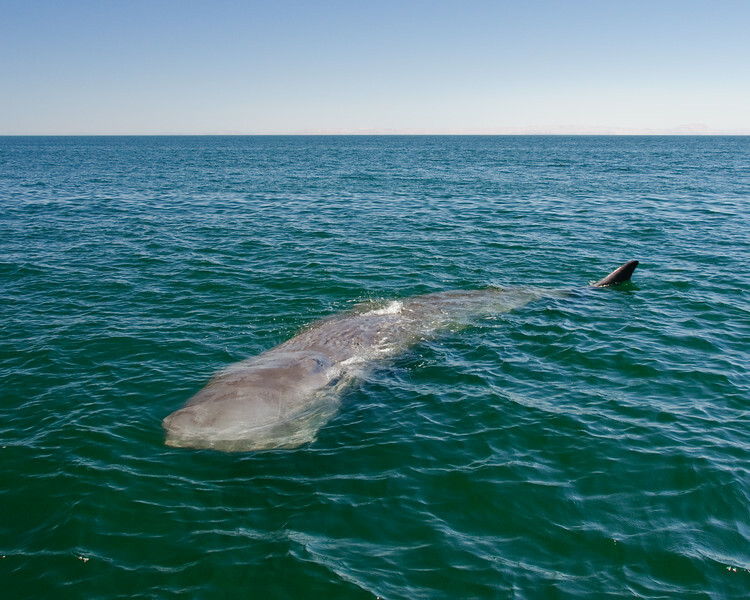 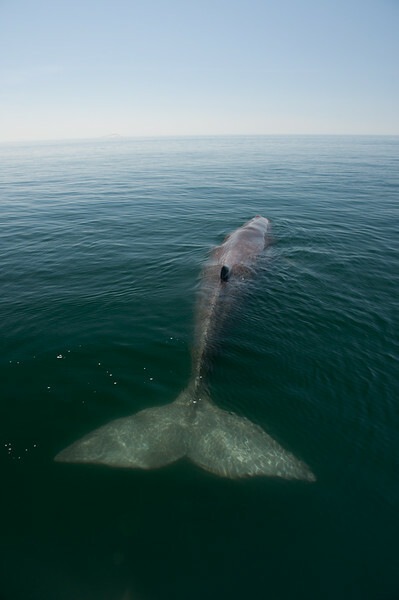 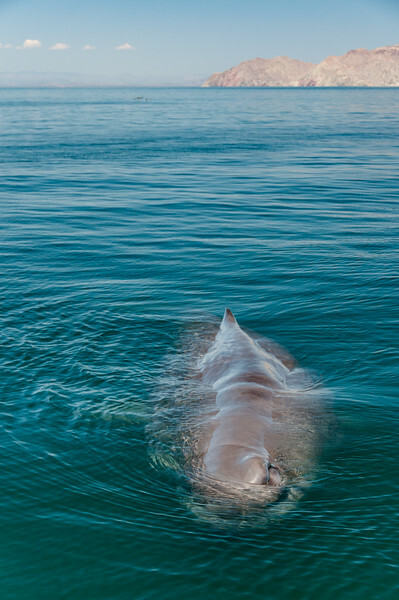 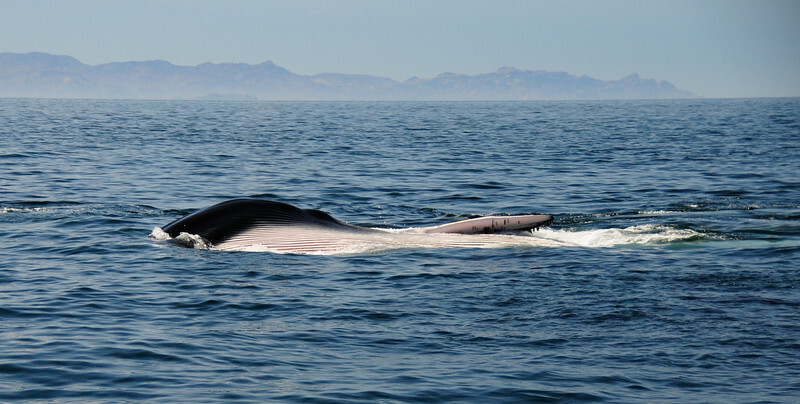 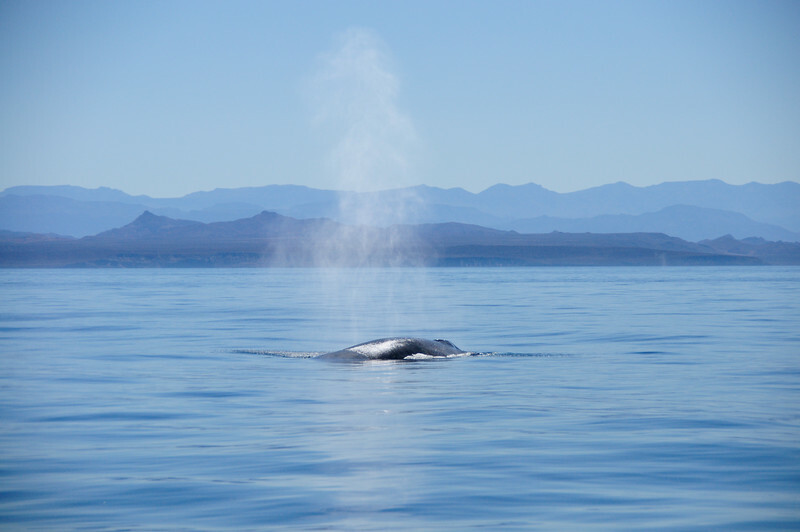 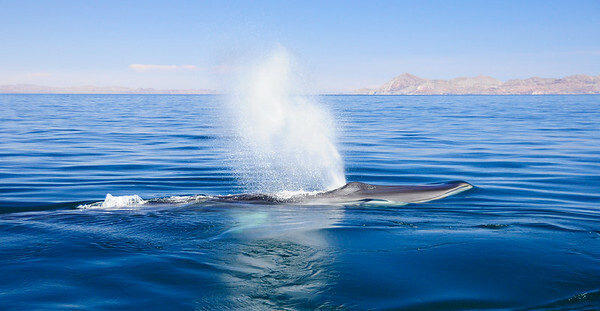 A Fin Whale (Balaenoptera physalus) pauses its ascent momentarily, hovering motionless just under the surface of the Gulf of California with a mouth full of krill. 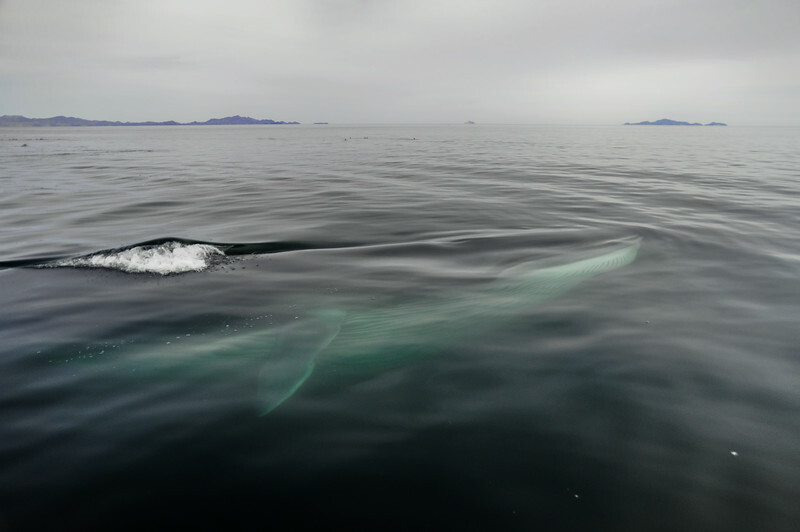 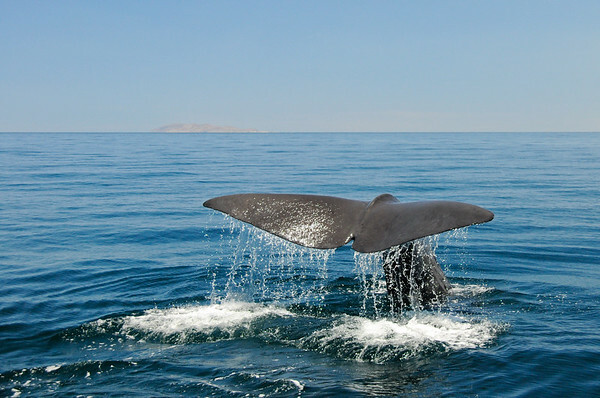 A moment later, the 70-foot long whale slowly slipped above the water. 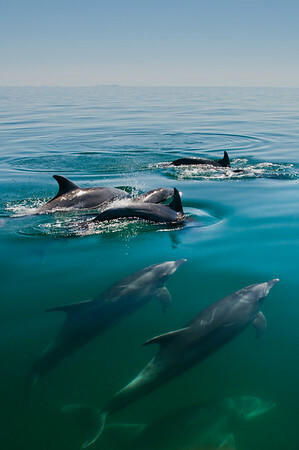 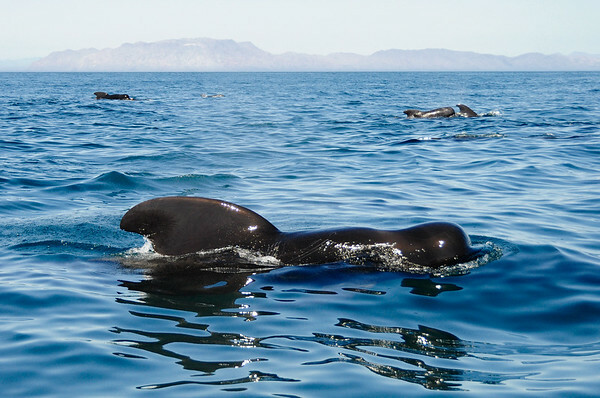 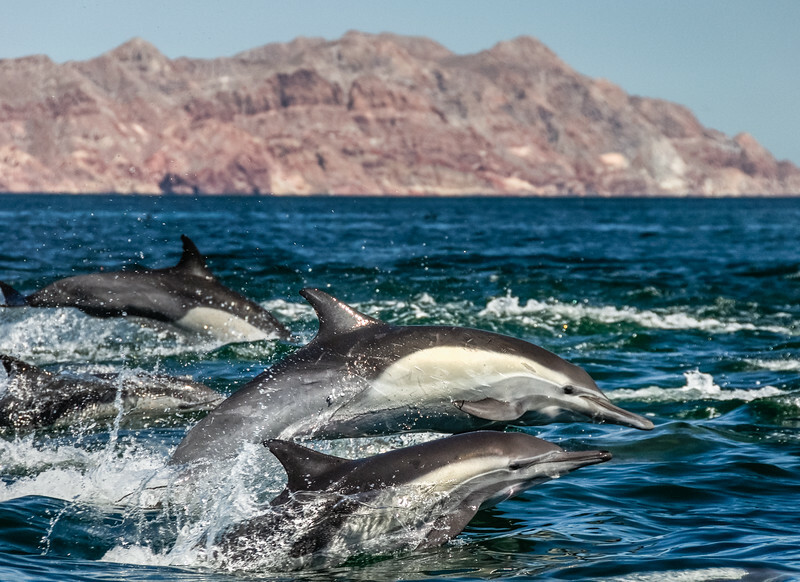 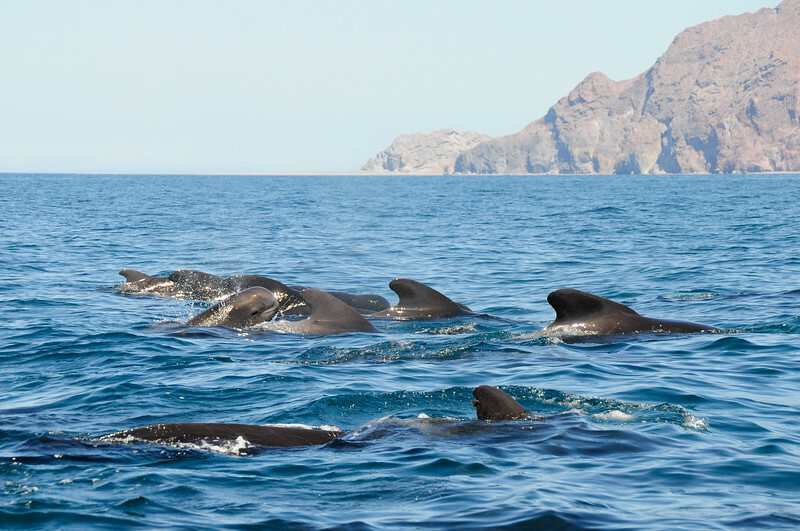 A pod of Bottlenose Dolphins (Tursiops truncatus) porpoises on the glassy surface of the Gulf of California. 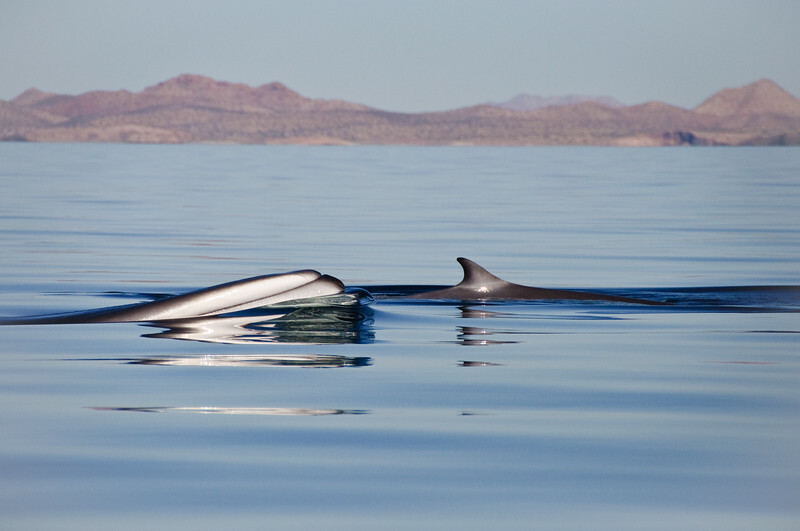 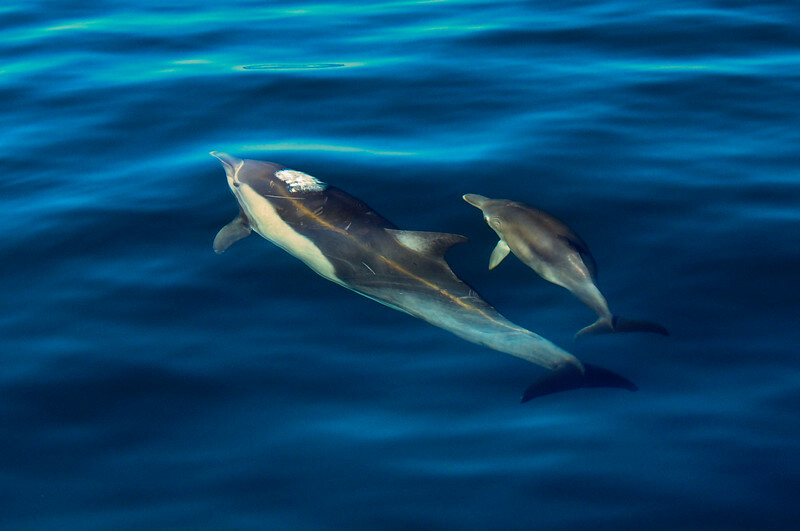 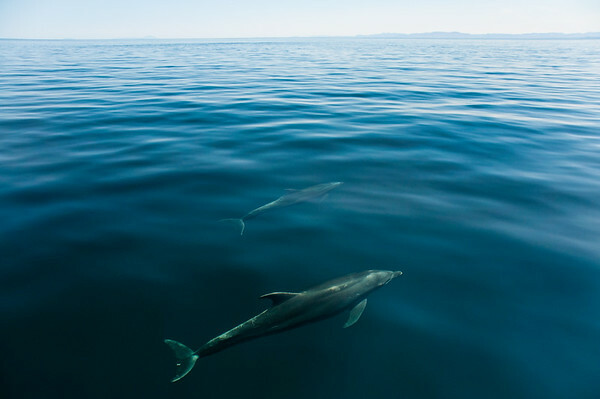 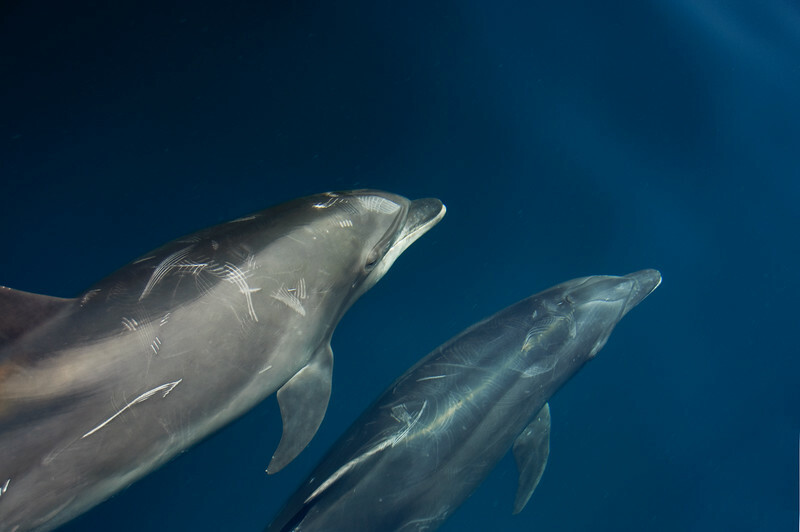 Two Bottlenose Dolphins (Tursiops truncates) swim just below the surface on a calm day in the Gulf of California. 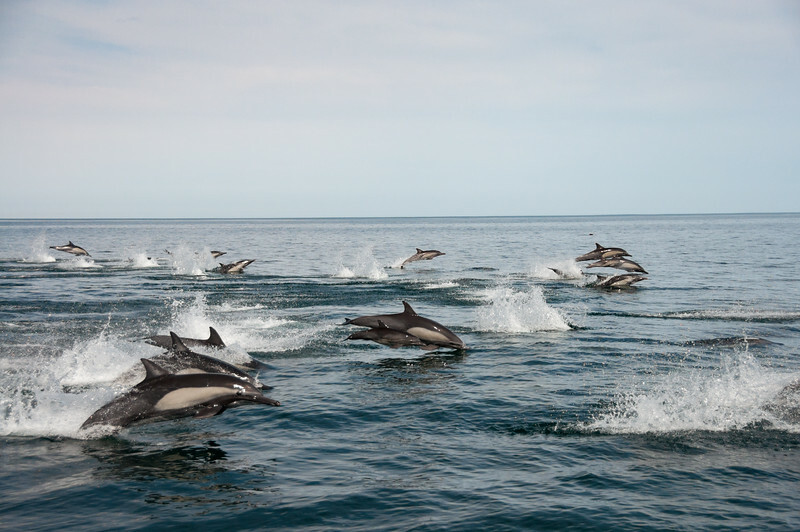 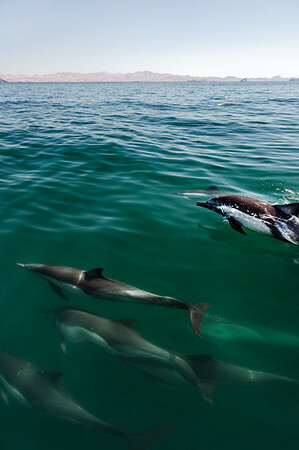 A transiting pod of common dolphins. 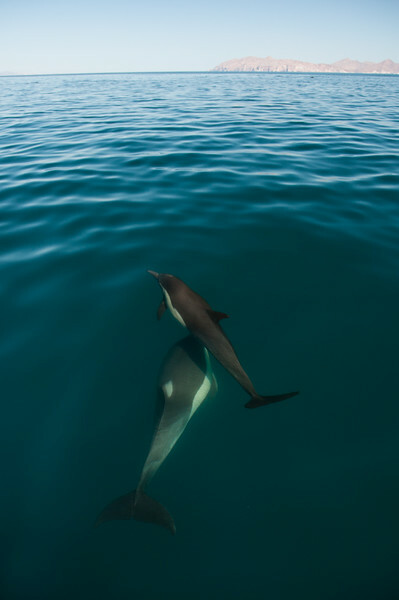 A calf is clearly viable in the center of the frame. 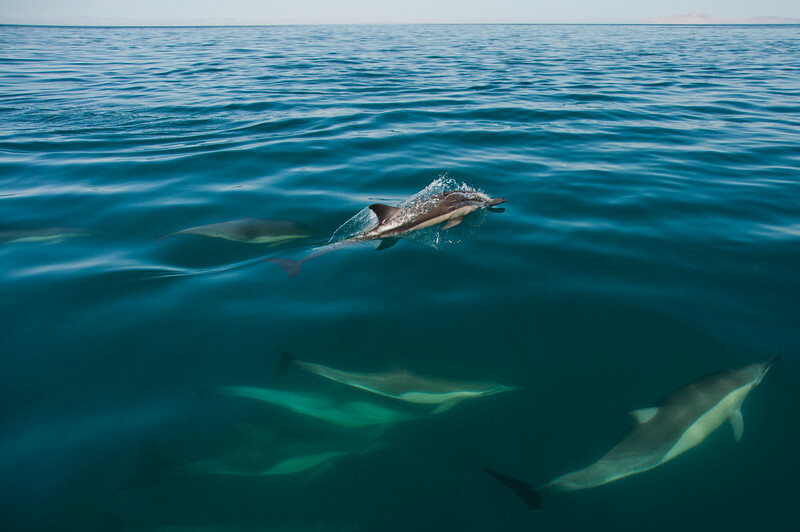 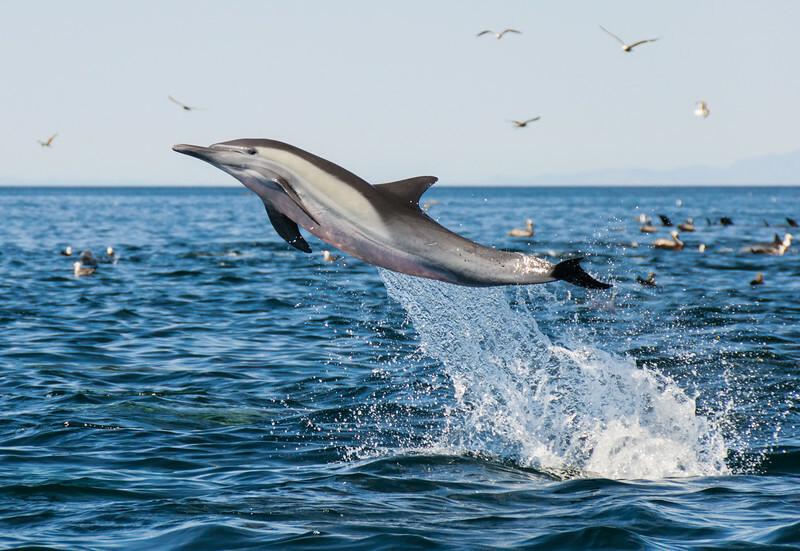 An energetic leap of a common dolphin during a feeding frenzy.